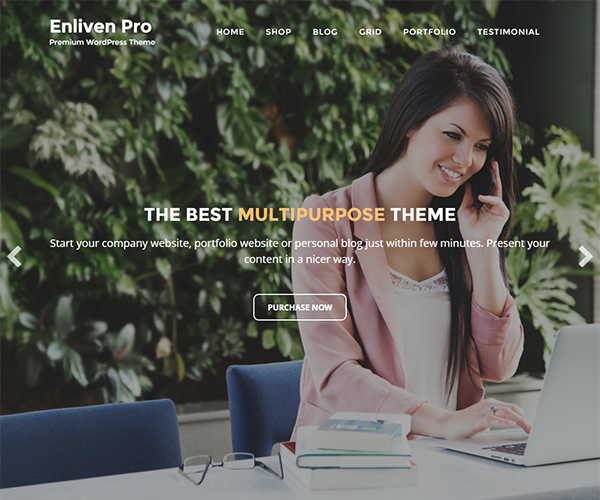 Enliven Pro is a modern beautiful multipurpose WordPress theme which is perfect for making business websites, portfolio websites, online shops or just simple personal blogs. 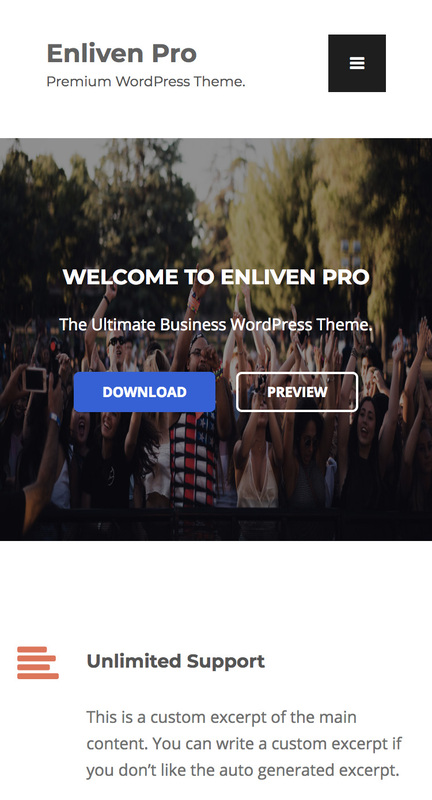 And it is the premium version of the Enliven WordPress Theme. Enliven Pro comes with built in homepage widgets to easily setup your website without spending too much time. Enliven Pro has a clean portfolio layout that utilizes the Jetpack portfolio content type. And also it utilizes the Jetpack testimonial content type to showcase your customer feedback in a nicer and clean way. Extra features that comes with Enliven Pro are unlimited colors, google fonts, woocommerce support, advanced customizer, customizable widgets and extra widgets. 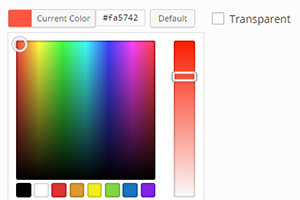 You can change the colors of all most all the elements of your site from the theme customizer. Choose your favorite colors to your site. Enliven Pro is powered with google fonts. 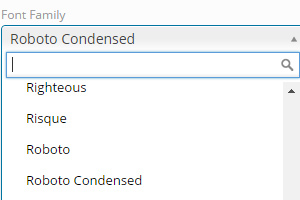 You can change your site fonts simply from the customizer. Enliven Pro supports WooCommerce. 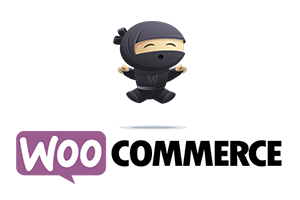 You can start selling your products easily without spending time to make the theme WooCommerce compatible. Have a look at the Enliven Pro Shop. ADVANCED WIDGETS AND EXTRA WIDGETS. Enliven Pro widgets has more customizable options. Every widget consists with a Widget Styling section to customize the appearance as needed. And Pro has more widgets to display content differently. MULTIPLE LAYOUTS FOR PAGES AND POSTS. Enliven Pro has different layouts for pages and posts. 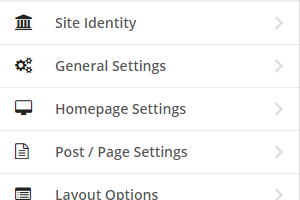 You are able to select different layouts for different posts and pages. 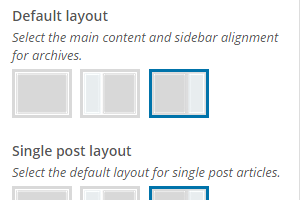 Simply choose your preferred layouts for posts and pages from post and page edit screen. Enliven Pro supports video background header feature. Just promote your business in an efficient way. 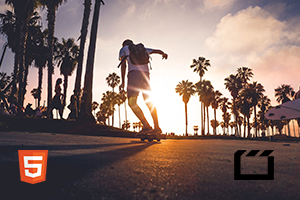 Upload your video directly from media uploader and configure it from the theme customizer. Enliven Pro is featured with an advanced theme customizer letting the users to customize their sites very easily. Enliven Pro has a responsive layout. 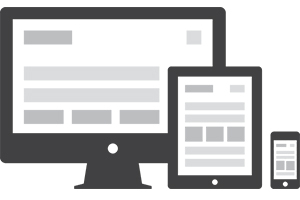 Readers can view your site from any viewing environment like mobile phones, tabs, and desktops without any interruption. 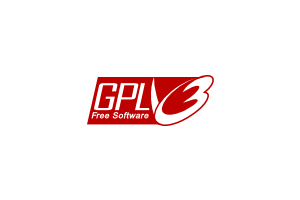 RELEASED UNDER GENERAL PUBLIC LICENSE (GPL). Enliven Pro is licensed under GPL. Use it to make something cool, have fun, and share what you’ve learned with others. Fixed a issue in theme's woocommerce functions. Fixed some styiling issues in business homepage widgets. Fixed css issues in client widget and featured pages widget. Changed site title and navigation width. Created a plugin called Enliven Pro Features to add employee custom post type. Added a new widget - Enliven: Employees / Team Widget. Added a new widget - Enliven: Contact Widgt. Did some modification to the Contact Widget. Added pagination to the Portfolio page template. Fixed the footer widget area background color not working problem. Fixed video call to action button issue. Fixed some styling issues in customizer. Added content option to Enliven: Single Page Widget. Now Enliven Pro can be updated directly from your dashboard.